“Arizona Bay” is an album by the late comedian Bill Hicks which whom the album Ænima is dedicated to. In his skit “Arizona Bay“, Hicks stated how happy he’ll be when the next big quake will sink Los Angeles into the ocean. Here is a cartoon of Hicks and Maynard James Keenan that is included in the albums sleeve. Hicks was a friend of the band and had opened for Tool during the 1993 Lollapalooza Tour. 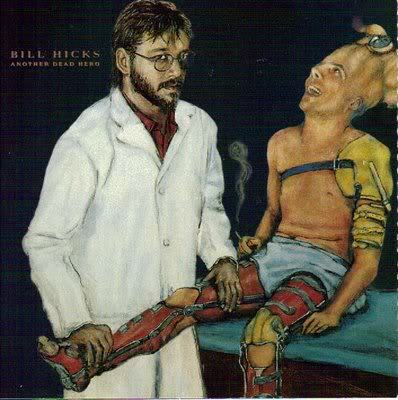 After Hicks died of cancer in January of 1994, Tool intended to raise awareness about Hicks’s material and ideas. Tool felt that Hicks and their band “were resonating similar concepts”. The closing track on the album “Thrid Eye” contains samples from Hicks’ Dangerous and Relentless.